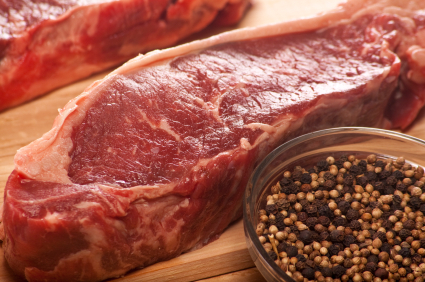 Choose organic meat and grass fed beef for a healthier New Year in LA! It’s that time of year where people start making New Year’s resolutions. Often times, they are unrealistic and don’t last much past January. There is a lot of information that making goals instead of resolutions may be more lasting and effective. Break down your goals into pieces that you can implement and adjust to in steps. Once one step becomes your new “normal”, add something else until you have reached your goal! Many consumers are making healthy lifestyle changes to get away from processed foods with lengthy ingredient lists. At the top of the list is switching to organic meat and grass fed beef instead of corn fed or grain finished beef. Eating grass is the natural diet for cattle and when they are allowed to roam free on green pastures they are at their healthiest and happiest. Choosing animals that are well raised and not administered antibiotics is better for the animals and you! Have a happy and healthy 2014 in Los Angeles! Once you make the decision to choose organic meats and grass fed beef, let Topline Foods deliver to your door in Los Angeles and Southern California. We save you time because shopping online is easy and delivery is quick and affordable. Shop our selection of the finest organic meat and beef, organic free range chicken, wild caught seafood, and so much more, and reach your New Year’s goals for a healthier 2014! This entry was written by Jeff, posted on December 27, 2013 at 10:07 pm, filed under Announcements - Cities, Blog and tagged beef, CA, California, goals, grass fed, LA, Los Angeles, New Year's, organic meat, resolution. Bookmark the permalink. Follow any comments here with the RSS feed for this post. Both comments and trackbacks are currently closed.